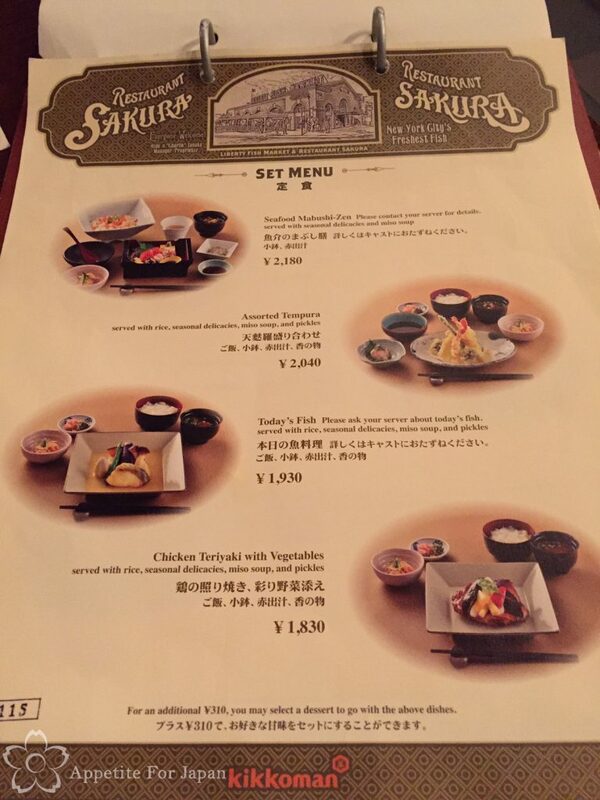 Having eaten at every other table service restaurant at Tokyo DisneySea at least once, and having been surprised at how good Hokusai at Tokyo Disneyland is, it seemed about time that we tried the menu at Sakura. We lined up just before dinner time, and there was already a queue with an estimated wait of half an hour. The queue for Hokusai was shorter. 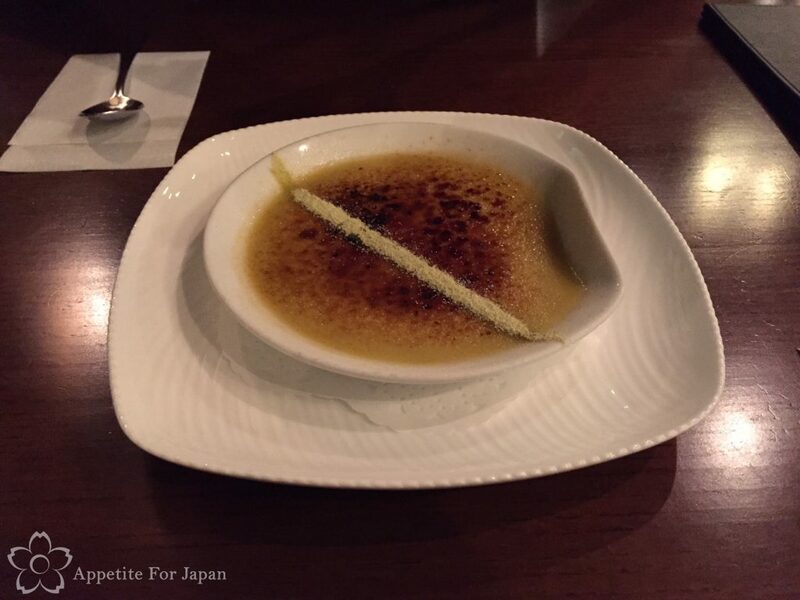 Once we sat down, we found the same thing that we find at every table service restaurant at TDR – half the tables were unoccupied and remained as such for the duration of our meal, despite the long queue outside. 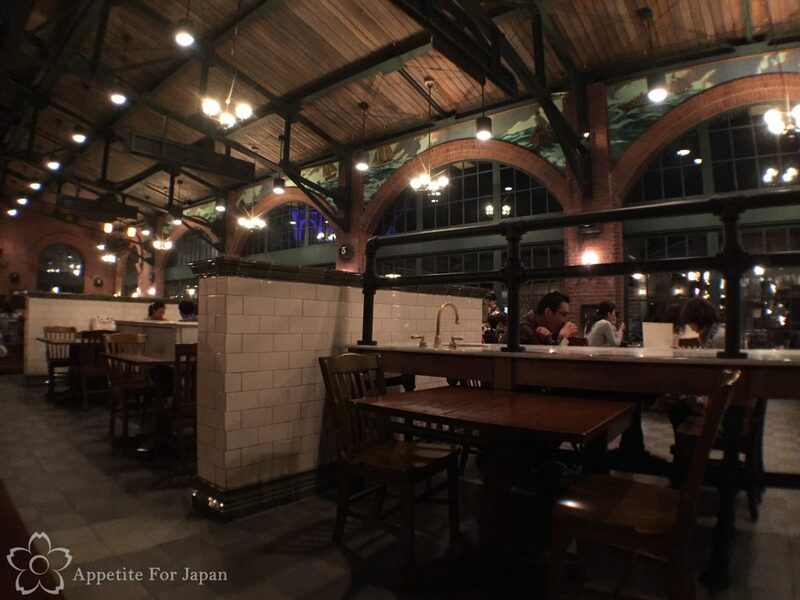 Both from the outside and the interior, Sakura appears to be based on a harbour-side warehouse. 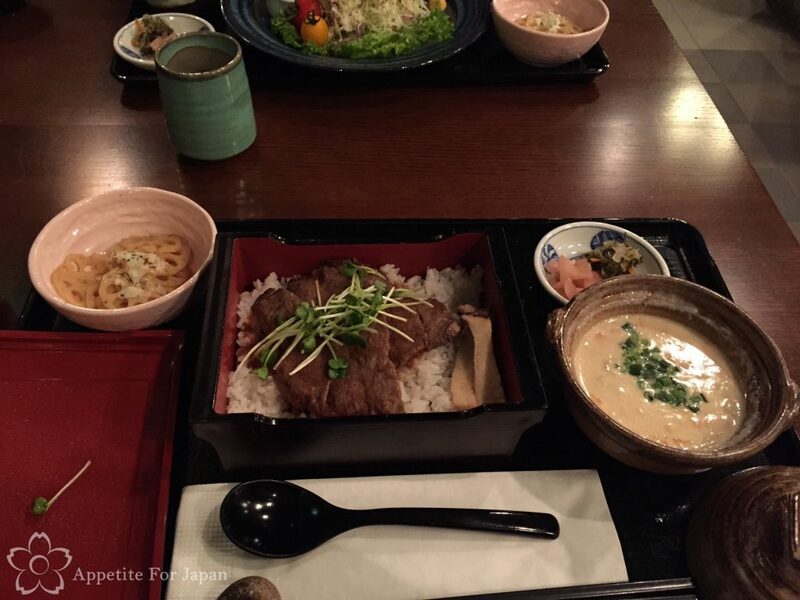 I ordered the beef steak on rice, which came with ‘seasonal delicacies’, ‘Charlie’s Miso Clam Chowder’ and pickles. The set cost 2,570 Yen. 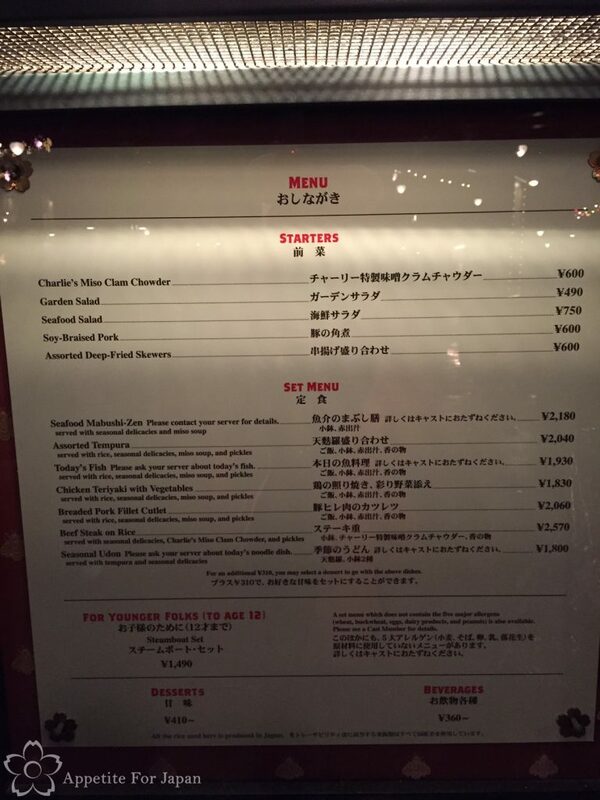 Charlie’s Miso Clam Chowder was my favourite part of the set, which makes sense given that I love miso soup and I also love seafood chowder (which there is plenty of around Tokyo DisneySea, including from Cape Cod Cook-Off and The Teddy Roosevelt Lounge). 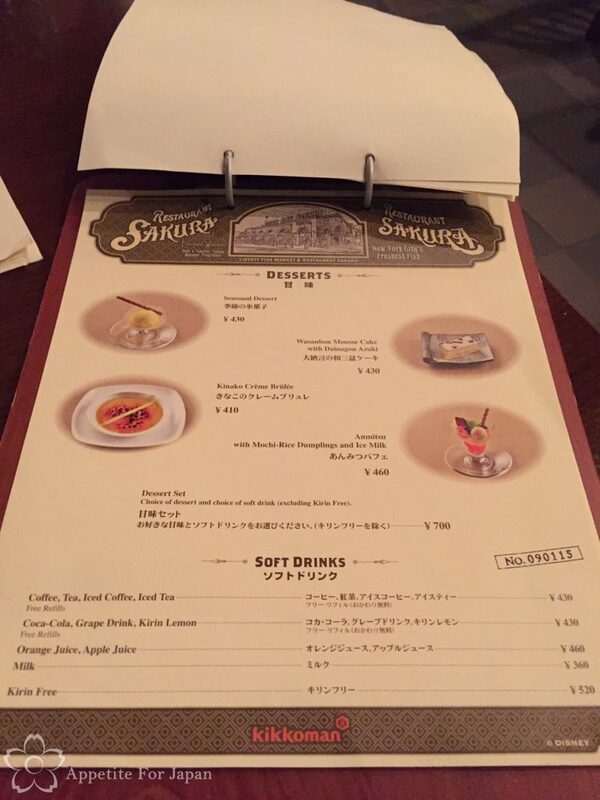 You can also order it separately from the starters menu for 600 Yen. 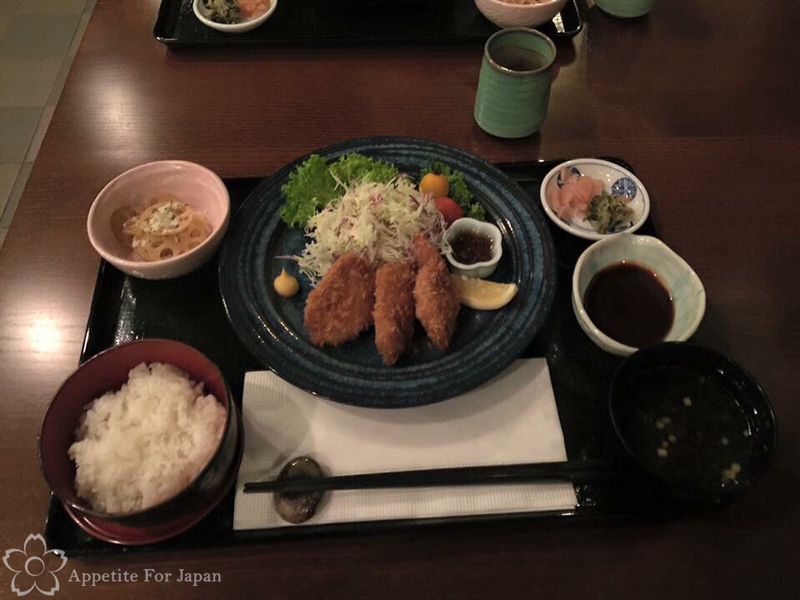 My partner had the breaded pork fillet cutlet (crumbed pork cutlets) set which came with rice, ‘seasonal delicacies’, miso soup and pickles and cost 2,060 Yen. 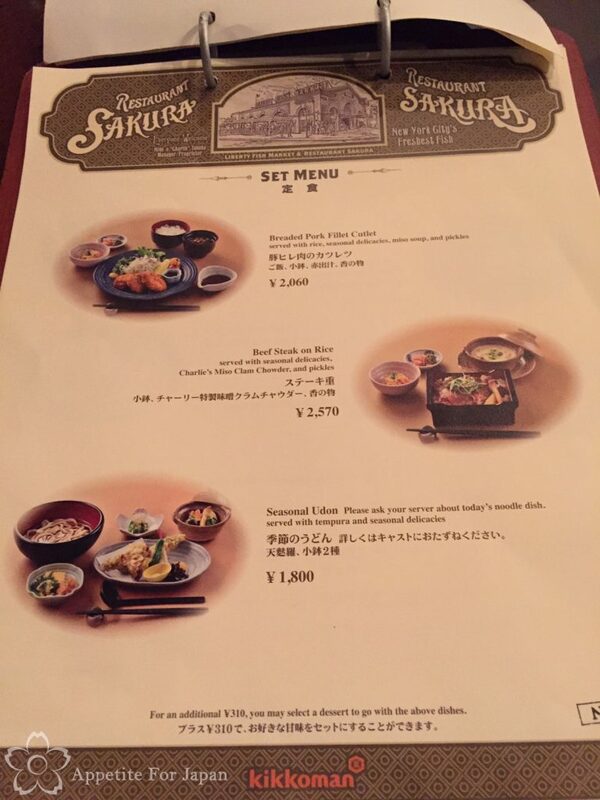 Sakura also has one children’s meal on the menu, which is a steamboat set for 1,490 Yen, along with a low-allergen version. 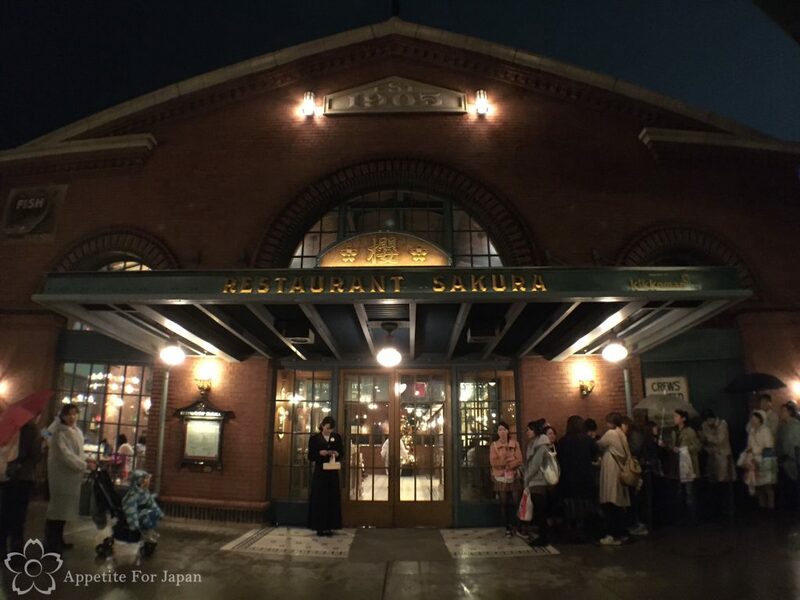 Restaurant Sakura is located within the American Waterfront area of Tokyo DisneySea. Just look for the big warehouse building by the water as you walk toward the SS Columbia (the giant Titanic-like ship). 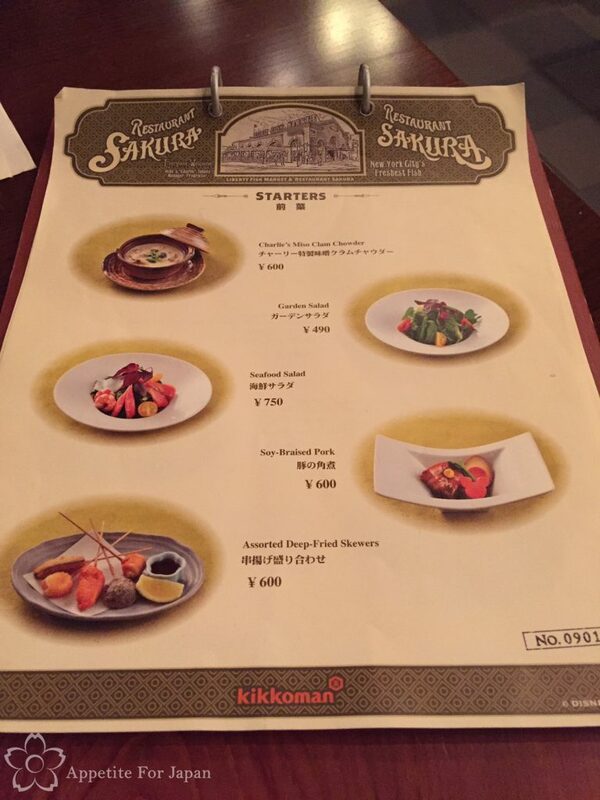 Would I recommend Restaurant Sakura? We felt that Sakura was okay, but nothing to write home about. My partner ordered a very similar meal at both Hokusai and Sakura, and felt that the Hokusai version was much better. Sakura is also a little more expensive than Hokusai. 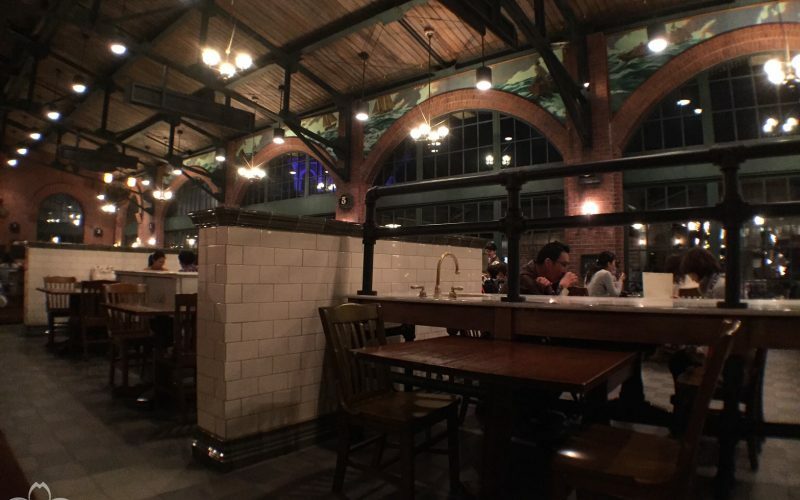 There are some fantastic table services at Tokyo DisneySea, such as Ristorante di Canaletto and the SS Columbia Dining Room, which we much prefer (although these restaurants are more expensive and can have very, very long queues). In other words, there’s nothing wrong with Sakura; it’s simply not our favourite, and when we compared it with Hokusai, we felt that Restaurant Hokusai was better than Restaurant Sakura. Hokusai also has the added benefit of being able to queue under cover, rather than waiting out in the rain as we did when we visited Sakura. 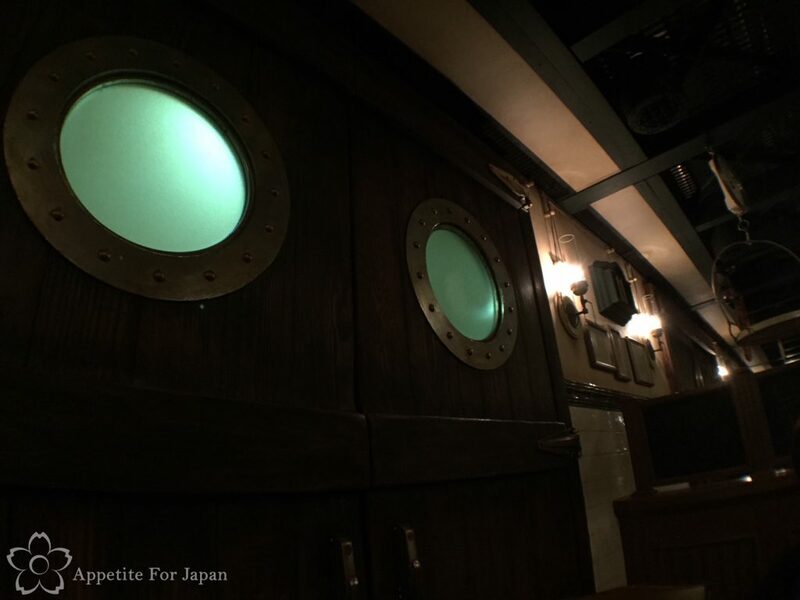 Next up we’ll look at the S.S. Columbia Dining Room – one of Tokyo DisneySea’s most luxurious restaurants.